DM 15 – Mobile Closed Circuit Crusher and Screening Plant – New Technology Limestone , River Stone , Mining Crusher . 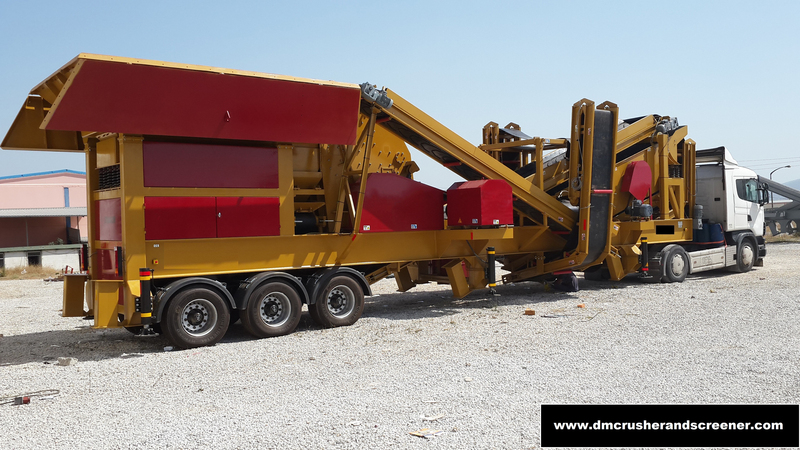 DM 15 – Closed circuit crushing system is all collected in one single platform and can be transported with a truck. The R-D group has designed this series for short term installation . This crushers can easily do the work of classical plants . DM Series refers to a crushing /screening closed-circuit plant on one chassis. Offers unsurpassed production of cubical spec products for small, medium, or large jobs. Produces multiple, cubical spec products with three-deck inclined screen. Returns material retained on the top deck to the impactor for further processing. This machines are the most prefered in Turkish market and the World market .